Medication Overuse headache (MOH). What is your detoxification protocol? It is a very frequent disorder (1-2% of the general population, the third cause of headache worldwide after tension headache and migraine; majority are women). Diagnostic criteria are headache chronicity (more than 10 days/month since at least three months, more than 4 hours by day, ), overuse of any kind of drugs used for headache, and worsening of headache following the overuse. Success rate of medical inpatient or outpatient treatments seems high even at six months (60-80% of cases). However several authors prefer seeing the dark side of the moon (20-40% of patients are recidivist). Migraine is probably the leading cause of MOH (about 70-80% of cases). Triptans overuse is probably the main cause of MOH in high-income countries. The migraine disability assessment questionnaire (MIDAS) is a useful index of the severity of the patient condition and could be helpful to decide to perform detoxification as inpatient versus outpatient. 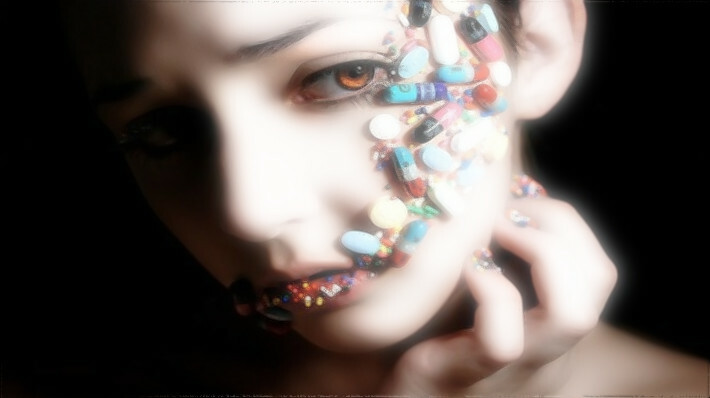 Pain drug withdrawal is the treatment of choice of MOH (I would say the only one). Patients with MOH, especially the ones who require inpatient detoxification procedures, are often known for aggravating factors such as co-existent medical illnesses, psychiatric disorders (mood disorder, anxiety disorder, eating disorder, substance addiction), notion of relapses after previous detoxification treatment; social and environmental problems; daily use of multiple doses of symptomatic medications, and opioid use (one of the worst prognostic factor for MOH). Patients with MOC show often sleep disturbances, non-restorative sleep and chronic fatigue. I follow this protocol for inpatient detoxification. I usually require a brain MRI if this exam has not been performed previously, even if the neurological examination is normal. I require biological tests to exclude anemia or other conditions, which could aggravate headache. A psychiatrist should evaluate the patient before and regularly over the detoxification process. I introduce a prophylactic or preventive drug regimen (for example topiramate or amitriptyline, or others according to the individual characteristics) at least two weeks before the patient hospitalization with the possibility of increase the dose during the hospitalization. The patient should exactly know in the details what it will be happen in the clinic. Although there is not sufficient evidence, I treat patients with Prednisone (60mg/day) for the first 5 days in the clinic. After the prednisone cycle, the patient can receive a painkiller drug (I prefer sustained release preparation), only if the drug is different from the ones previously used, with fixed limits such as 1 cp/day only 3 days during the week. Triptans are not allowed in general. The patient will receive fixed daily doses of pregabaline (or oxazepam), quetiapine, daily oral or iv antiemetics and hydratation. Rescue doses of pregabaline or oxazepam are allowed in case of insomnia. The patient has physiotherapy (massages) daily. Visitors’ access will be limited. I try to spend at least 2x30minutes a day with the patient. Other doctors, especially the ones in place the night are instructed to not give painkillers. Nurses’ involvement is a key factor for success. Usually patients improve after 5 and 7 days and hospitalization length varies between 7 and 10 days. What is your advice for MOH treatment in general? Transmagnetic stimulation could be a new therapeutic option?